I enjoy listening to Brian Tracy (shown at left) because he became successful through brute determination and willingness to learn. He flunked out of high school, didn’t have good people skills, wasn’t good at anything until he decided to turn his life around by learning. He did laboring jobs until he couldn’t find another job after losing the other jobs. He began selling and didn’t start well at it. But he was willing to learn. He found one salesman sold ten times more than the others even though he sold the same product to the same people under all the same circumstances. He asked that salesman how he did it, then Brian became a millionaire. But he didn’t make it because he was born with talent. He did it like you and I will have to do it, through learning how to do it and hard work. I took these notes from a lecture Brian gave about the secrets of self-made millionaires. What are all the things I could do to double my income in one year. Write 20 answers to this question. For example, work harder, work smarter, go to seminars, etc. more people have become millionaires through this method of mind storming than anything else. To accomplish a big goal in life, like to start a business, write a book that sells well, become financially independent, start a charity or any number of things, you have to be willing to become a different person. The qualities you need to succeed are those that make u better in charity, decision making, determination, strength, etc. Skills are learnable. If you can drive a car, you can learn the skills you need to succeed. If you do these things you WILL succeed. You are one skill away from doubling your income. You just need to find that skill. Dream big dreams. Develop a vision of yourself as happy healthy wealth y thin. Lots of time friends experience. If you could be have or do anything in life, what would it be? They have found that this is the starting point of success. Make a dream list. Do what you love to do. Find a way to make a living doing it. What did you want to do as a child? Commit to excellence. Brian Tracy was not good at anything, he failed in school, did not have good people skills, got fired often, he went from job to job. It takes 5 to 7 years to become the top in your field. Develop your unique talents and abilities. Everyone is born to do something well. In this blog I have written about people who seemed to have no abilities, but found something they were good at and succeeded. See yourself as self-employed. The top 5% of successful people see themselves as self-employed. All exceptional people are highly responsible people. You work for yourself. The most valuable people in the company are those who feel that they are working for themselves, as if they are self-employed. They are like cream they rise to the top. Develop a clear sense of direction, become intensely goal oriented. You can’t hit a target you can’t see. One of the richest self-made millionaires said there are two things you need to do to become rich. H L Hunt made $3 million a day. He was asked what the secret to success is. He said the first is to decide what you want in life, to set goals. The second is to determine the price you will have to pay to get it and be willing to do whatever it takes to reach those goals. Take a piece of paper and write ten goals. If you could accomplish only one goal, but had to accomplish it in 24 hours, what would it be? That goal is probably the one you want most. Circle that goal. Turn the paper over and write a list of things you can do to reach that goal. Do something every day to accomplish that goal. It is the secret to success in life. People become great when they do this. 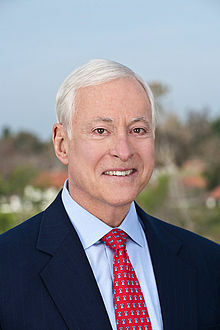 A man told Brian Tracy that he was broke, divorced, alcoholic, but he did this goal exercise and ten years later had earned $40 million. He said this exercise changed his life. Refuse to consider the possibility of failure. Most people quit before they start because they are afraid they can’t accomplish the goal. Everyone fails, probably 9 out of 10 things that we try, fail. It is the fear of failure that holds you back. If you learn from your mistakes you will succeed. Henry Ford said failures just teach us how to win. Winners find the lesson in the failure, they learn from their mistakes. Your biggest problem today can bring your best learning and be your biggest help. Dedicate yourself to lifelong learning. Knowledge and skill are the keys. Learning new skills are important because things change so quickly, the old things you learned. Read 30 to 60 minutes a day in your field. Read bestselling books written by successful people. Take every course that you possibly can. Take the ones taught by professionals. You will learn enough in one or two days as you would learn in years on your own. Some have learned enough from one seminar is they became millionaire. Listen to audio programs in your car. It is like taking a class at a university, or even better because you can study exactly what you want to learn. Be a workaholic. You really have to work hard. My note, learn to love your work, really enjoy it. Every hour you work over 40 hours brings you closer to your goal. The average self-made millionaire works 59 hours a week, also the average top executive also works 59 hours a week. When you work, really work, don’t waste time. The average person might only work fifty percent of the time at work because they come in a little late, leave early, take long lunch, talk to others, etc. Get around the right people. As much as 99% of your success in life is who you spend time with. Do you spend time with successful people? We absorb the opinions of the people we associate with. Bad relationships drag you down. One negative coworker can drag down the whole office. Develop resilience and bounce back. You will be knocked down many times, be ready to bounce back. Become an unshakable optimist. Think and talk about what you want most of the time. Look for the good in every situation. 3 qualities: a. they learn more things, b. try more things, c. they persist – they never give up. Develop the qualities of courage and persistence. Two types are needed to succeed. First the courage to begin. Secondly the courage to persist. No matter what happens you will never give up. Quality of self-discipline. Be able to make yourself do what you should do when you should do it. Granny Squares of Love has nominated your site for the Liebster Award! Please check my blog to see details! http:// grannysol.wordpress.com/ Thank you! Thanks this post really got me kick started. I used to be a mental list person but now I can see the advantage of making lists. I’ve also been listening to what David Allen has to say about his method called Getting Things Done. it sounds like a simple and effective format to dismantle the chaos in your life and actually get things done.